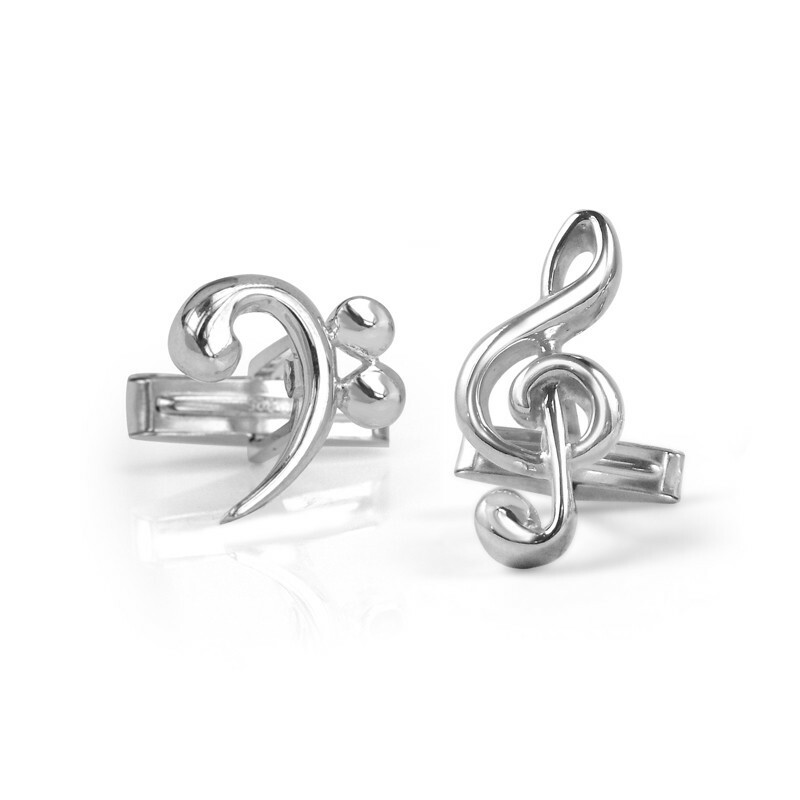 Available in sterling silver for the Music Lover! Also available as two treble clefs or two bass clefs. If you would like to customize your bass clef and treble clef cufflinks by adding gemstones, send an email to [email protected] and we'll make a pair to order!